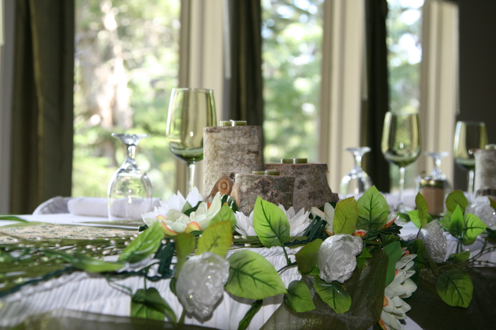 Nestled in the beautiful Cypress Hills, The Resort provides a unique destination for your wedding celebration. We offer a variety of venues, including a newly renovated spacious conference room with seating up to 250 people. A range of accommodation options for you and your guests and an excellent catering menu with many delicious options and combinations from which to choose. Our Resort is designed to provide everything a person would need to get together with family for a long awaited reunion, come together for a beautiful wedding celebration or getaway for a business retreat with their colleagues. Our Resort is open year round and although summer is wedding season, we have accommodated brides and grooms in every season! Any season in the Cypress Hills makes for a spectacular wedding celebration. Contact our Groups and Events Coordinator via phone (306 662 4477 ext 156) or via email groups@resortatcypresshills.ca for more details! With a sweeping view of the tall alpine forest and prolific wildlife, including direct access to our outdoor courtyard, this beautiful location provides a rare setting for any exhibition or event. The 3,600 square foot event facility seats up to 250 people, outfitted for your every need including a built in sound system, a wall projector screen, stage and dance floor - all available upon request. The Cypress Room accommodates up to 80 people with round table seating and is suitable for a wide variety of group gatherings. This room can be set up for corporate meetings or training sessions in the traditional classroom style or horseshoe arrangement. This 1,760 square foot space also includes seasonal access to our courtyard. An easy to operate retractable wall provides separation into two distinct areas. An elevated semi-private area located on our main floor next to the restaurant, this elegant and intimate setting can accommodate up to 80 people for a plated dinner or buffet service. Our large patio provides a beautiful outdoor area with access from both our Cypress and Wapiti Rooms. It can be reserved in addition to the event rooms. 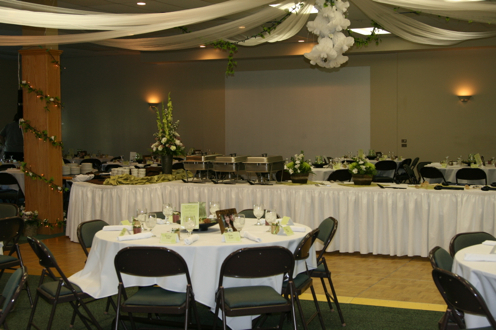 The courtyard is large enough to host a wedding ceremony, business meeting or family gathering.